Mark Anton’s introduction to the propane gas industry reads like folklore. It was 1928, just months before the stock market crashed, kicking off the Great Depression. Mark and Adele Anton left the big city of Newark, N.J., to move to the country. They were less than nine miles from Newark, but their move took them “off the main” and they were confronted by the unpleasant realization that Mrs. Anton could not cook with gas. That’s when Anton came to her rescue. Having noticed an advertisement for Rock Gas, which sold propane and equipment for home installation, he placed an order, which made his wife happy and led to more installations in the neighborhood. Anton might have stumbled upon propane as a way to facilitate his wife’s cooking, but his foray into business proved fortuitous for more than his dinner plate. By the time he retired in 1963 and turned over the reins as chief executive officer to his son, Mark J. (known as M.J.), Suburban was a $60 million, multi-location business. Moreover, he helped to found the National Bottled Gas Association in 1931 and served as its first president. The association eventually became the National Propane Gas Association. “My grandfather was a guy who had a vision. The vision was not only could he run this business that he started and make it bigger, but make it much bigger,” says Mark Anton II, vice president of business development, Suburban Propane Partners. In the company’s earliest days, Anton obtained propane from a nearby Phillips Petroleum Co. plant, which considered it a useless by-product of its oil-refining business. He sold the propane to homeowners who, like his wife, preferred gas over electric or kerosene. He went on to establish three plants, eventually going public in 1945 as the first publicly owned company focused on distributing propane. That year, Suburban purchased 13 propane gas properties from Phillips, leading to 1946 revenues of $5.5 million on retail propane sales of 14 million gallons. Anton next sought to expand the business to include producing the propane and manufacturing tanks and appliances. He acquired manufacturing plants in three states to produce gas heaters, ranges and tanks. He purchased a small gas field in Texas to produce butane, propane and natural gasoline. After he retired, the business went on to become, in 1965, the world’s largest independent retail distributor of liquid petroleum gases, when it marketed 10 percent of propane sold in the United States, with a presence in 26 states. Eventually, the business was purchased in 1983 and left family ownership. Suburban retained its position as the No. 1 retailer in the United States until 1988. Today, the publicly owned firm ranks fifth, with 300 outlets in 30 states, selling 299 million gallons in 2011. Anton may have started one of the country’s most successful propane companies, but he earned his place in the Propane Hall of Fame by his work to develop the industry as a whole. “The Anton family and Suburban Gas devoted themselves to not only promoting Suburban Gas and making it a good company, but creating and running an association that would benefit everybody,” says Dan Myers, a former chief lobbyist and chief staff executive for NPGA. Anton grew up a self-made man, after his father died when he was a child, according to his grandson. Living near the General Motors plant in Newark, the entrepreneur obtained scrap steel, which Mark Anton Manufacturing crafted into luggage racks for automobiles in the days before they were made with trunks. Later, he ventured into politics, serving a partial term as a New Jersey state senator from 1953 to 1955. In 1964, he served as campaign director in New Jersey in Sen. Barry Goldwater’s quest for the Republican presidential nomination. Outside of work, Anton enjoyed traveling the world and spending time at his vacation home on the Jersey shore. In addition to Mark J., Anton is the father of Jane, whose husband helped grow the business prior to its 1983 sale. 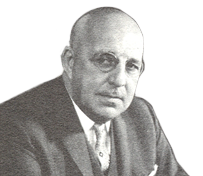 Within the industry, Anton helped H. Emerson Phillips and George Oberfell, both of Phillips Petroleum, form the association. Anton was honored by NPGA with a Distinguished Service Award.